Hey Friends! Let&apos;s Plan a Girls Weekend in Traverse City. Calling all girlfriends! Do you know what you&apos;re doing when hunting season kicks off? Don&apos;t be left behind as a deer widow. Your girls are the perfect companions for blazing a trail of new adventures, and when it comes to planning the ultimate weekend in Traverse City, the possibilities are endless. Near and dear to my heart, this scenic and vibrant town is almost too good to be true. Traverse City is a Midwestern playground featuring award-winning wineries and breweries, amazing restaurants, hiking trails and views that’ll make you question whether or not you’re even in Michigan. So where should you start? Here are five itinerary ideas for a girls weekend in TC. 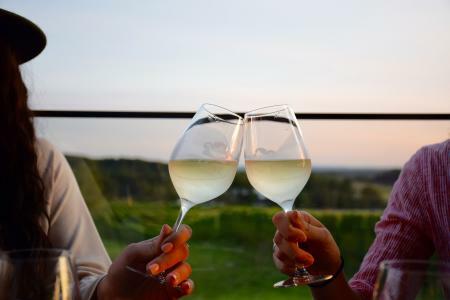 No visit to Traverse City is ever complete without taking a day to savor the wines and enjoy the gorgeous landscapes of Traverse City’s wine coast. 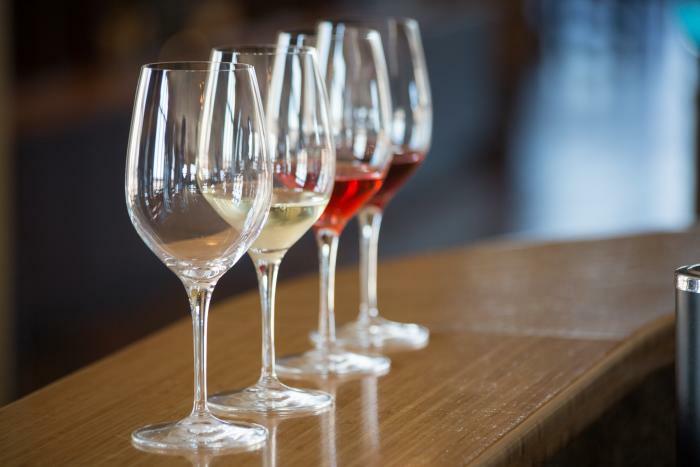 Situated on the 45th parallel – just like France’s Bordeaux region and Italy’s Piedmont region – Traverse City has quickly become a notable wine destination, boasting a variety of cool-climate wines that pair well with the booming culinary scene. Combine all of that with the beauty of Old Mission Peninsula, Leelanau County, Lake Michigan and the Sleeping Bear Dunes, and the region as a whole will have you craving more! Notable wineries to visit: Bonobo Winery, Brys Estate, 2 Lads, 45 North, Black Star Farms, Bregman Brothers, Rove Estate and Verterra Winery. I&apos;d be remiss if I didn&apos;t include ideas for shopping on this must-do list! The action starts in downtown Traverse City where you will be charmed by the tree-lined streets, historic buildings and views of Grand Traverse Bay. The diversity of shops, eateries and cozy spots for a cup of coffee are sure to make it enjoyable for all of the ladies in your group. If the shopping bug is still buzzing, venture over to The Village at Grand Traverse Commons and the Warehouse Market for unique finds and delicious eats. Noteworthy stores to hit up: Cherry Republic, Haystacks, Cali’s, M22, Ellas, Nifty Things!, Golden Shoes, The Cheese Lady, and Nest of Grand Traverse. Let’s be honest, are we even in Michigan? Named the “Most Beautiful Place in America” on ABC’s Good Morning America, the Sleeping Bear Dunes encompass 65 miles of sandy beaches along Lake Michigan’s eastern coastline, with bluffs that tower over 450 feet, luscious forests, clear blue inland lakes, and breathtaking views. Take a day away from shopping -- you won&apos;t regret it -- to enjoy the scenic ride and experience at the Dunes. 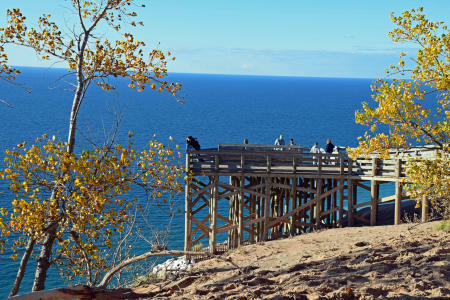 If you’re feeling adventurous, take the 3.5 mile Dune Climb hike all the way to Lake Michigan, or if you’re looking for a more relaxing way to see the sights, enjoy the self-guided tour through the 12 stops of Pierce Stocking Scenic Drive. Traverse City is an exploding foodie destination! Midwest Living Magazine has listed Traverse City among its Five Top Food Towns and Bon Appetit Magazine named it one of the Top Five Foodie towns in the country. No matter what you have a craving for, you&apos;ll find it downtown. Dinner is over, now what? A night on the town? Is that even possible in a town as small as TC? You bet! When the sun sets on this scenic city, there’s no shortage of things to do. Wine lovers can sample a variety of wines at Olives and Wine, fancy cocktails can be sipped at The Low Bar and for a crazy selection of beers, 7 Monks Taproom is the place to be! Other noteworthy nightlife destinations include: The Little Fleet, The View Nightclub at West Bay Beach a Holiday Inn Resort, The Parlor, Kilkenny’s Irish Pub, and the Beacon Lounge at the top of the Park Place Hotel. Cap off your trip with a spa experience at the Grand Traverse Resort and Spa. After a full weekend of activities and fun, you’ll be craving that moment of zen. Choose from a wide array of massage therapies, skin care and signature treatments with natural products. You’ll enjoy this opportunity to nourish, unplug and recharge the body, mind and spirit before heading home. 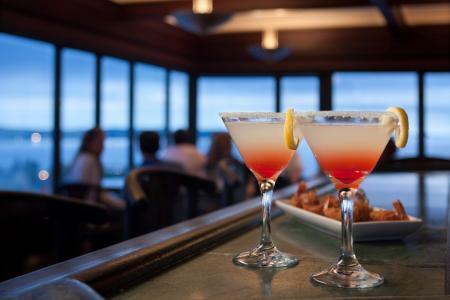 While there’s much more to do and see around the area, let this be your starting guide for the ultimate girls weekend in Traverse City. For more town happenings and must-do’s, follow me on Instagram @abbyclear. Abby Clear is the Marketing and Events Manager for Bonobo Winery and blogger for Lakes and Grapes. As a Traverse City local and native, Abby loves to promote all things lakes, grapes, and Northern Michigan living. Follow along on Lakes and Grapes where Abby shares her unique perspective on Northern Michigan wine, craft beer, lakes, and the social scene of the town.